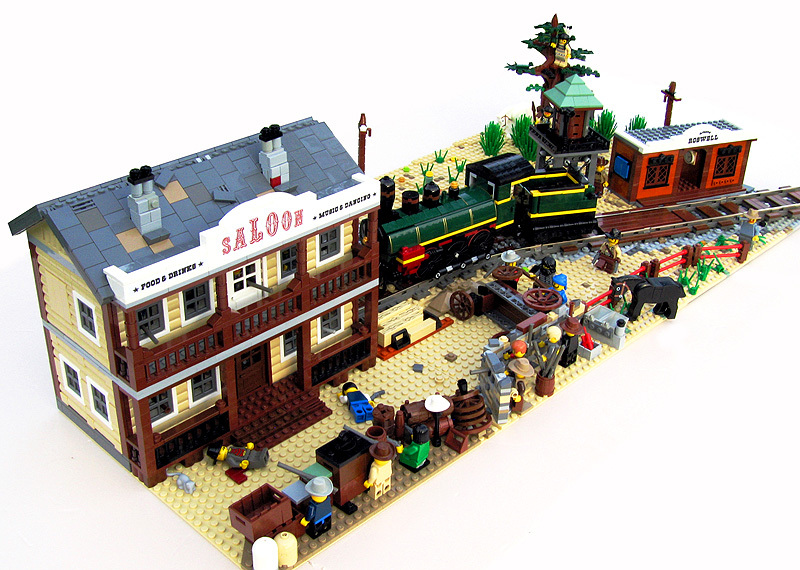 Brick Town Talk: Roswell Saloon - LEGO Town, Architecture, Building Tips, Inspiration Ideas, and more! An amazing little western diorama with loads of detail and a terrifically designed little frontier saloon. Courtesy Roswell Saloon by tacvud.